Raise your hand if you watched "Trading Spaces" on TLC. Come on...you know you did. Trading Spaces was one of my guilty pleasures...I loved how the contestants could turn an ordinary room into something amazing with just a little ingenuity and a small amount of cash. One of my favorite designers was famous for her bare feet, fresh design and...her moss-covered wall! Have you guessed? 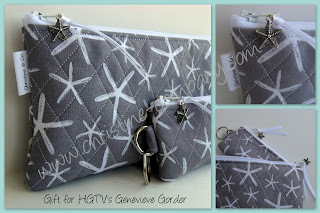 Christine & Company is proud to announce that through The Artisan Group, we have yet another opportunity to send a gift to the lovely Genevieve Gorder of HGTV's Dear Genevieve. We are sending a couple of pieces from "The Coastal Collection" a new wholesale line that we are launching in the fall. The collection features quilted totes, backpacks, cosmetics cases and coin purses in fantastic coastal-themed fabrics. Many people want to know why I would send something FREE to a celebrity who could clearly pay for the item. I consider it a marketing expense. 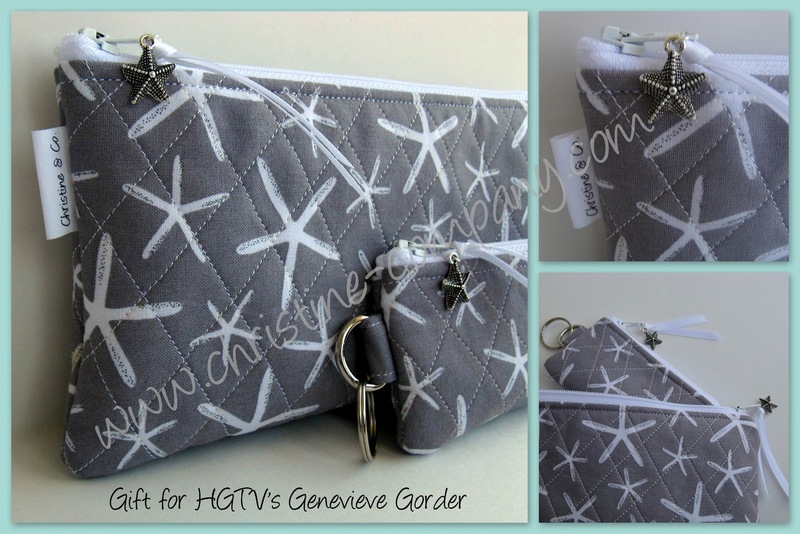 Will Genevieve ever be a spokesperson for Christine & Company? Maybe...maybe not...but it sure is fun to dream! I hope she mentions it on the show and you get some great pub from it!